What are some different types of pottery decoration? Tin-glazing—this is the process of giving ceramic items a tin-based glaze that is white, glossy and opaque, and it is normally applied to either red or buff pottery. 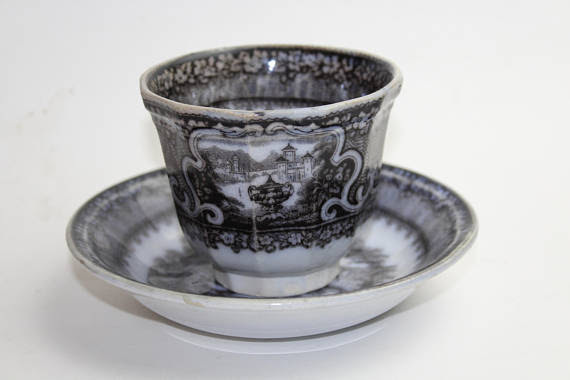 The whiteness of the tin glaze itself encourages its frequent decoration with color. Majolica, delftware and even faience are some of the names used for some of the common types of this type of pottery. Blue and white pottery—this covers a wide range of white pottery that is decorated under the glaze with a blue color. The decoration can be applied by hand, but it’s now usually applied with a stencil or by transfer-printing. Lusterware—this is a type of pottery with a metallic style glaze that gives the effect of iridescence. It’s produced by using metallic oxides in an over glaze finish and then fired in second firing at a lower temperature. Salt-glaze—this is a pottery (usually stoneware) that has a glaze of a glossy, translucent finish with a slightly orange peel-like texture. This finish is formed by throwing common salt into the kiln during the higher temperature part of the firing process. This is only a few of the types of decoration that you will find on pottery. What other types have you run across? There are quite a few ways that you can collect cups and saucers.Not only can you collect cups and saucers by the pattern that is on them or the manufacturer, you can also find examples that could go with a certain color combination that is in your house or apartment. Whenever you go out shopping, you will run across a wide variety of items. It could be anything from furniture to enamel signs. There will be times that you will run across something that is great—the only problem is is that you have no idea what the item is. Not too long ago, this happened to me. I picked this really cool vase up at a garage sale, and I instantly fell in love with it. The problem that I have with it is that I have no idea who the artist is and what the pattern is called. Is it a forest scene? A forest scene at night time? At the beach? At a pond? I really don’t know what this could be. It’s also signed BR near the bottom of the vase. The signature has really stumped me—could you possibly know who the artist is? Do you know what this could be? Any information on this beauty would be greatly appreciated! Mae W. Marsh was a huge movie star in the 1920’s—going from silent films to talkies. She made nearly 100 films in her lifetime, and her career spanned 50 years. Some of these movies include THE LESSER EVIL (1912), THE ESCAPE (1914) and even TIDES OF PASSION (1925). Mae was a prolific actress, sometimes appearing in as many eight movies a year. She also became a very popular actress, and she was featured on this terrific plate by STAR PLAYERS PHOTO COMPANY. STAR PLAYERS PHOTO COMPANY produced this fantastic plate in the 1920’s. This plate with Mae W. Marsh was part of a series by the company that featured other movie stars. This series had Charlie Chaplin, Anita Stewart, Francis X. Bushman, Marguerite Snow, Alice Brady, Maurice Costello, Lottie Pickford, Lillian Walker and other actor and actresses. All of the plates in this set features a floral border, and a picture of the star in the center of the plate. They are also the same size—they are about the size of a dinner plate. What a wonderful find for the film buff, and you can see this great plate in my Etsy shop here! Pottery from the Czechoslovakian area in Europe is a great area to dive into and collect. You can find great examples starting in the $10 to $15 area, and you can also find examples that are priced much higher. 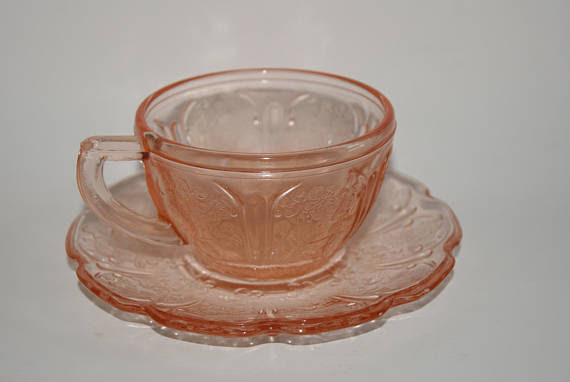 You can find a wide variety of pieces on the market—cups, saucers, figurines, pitchers, creamers, sugars and even plates are a very small slice of what you can find. One type of Czechoslovakian pottery (also called Czech pottery, a shortened name of the region it’s from) is this terrific hat pin holder from a company called ROYAL DUX. 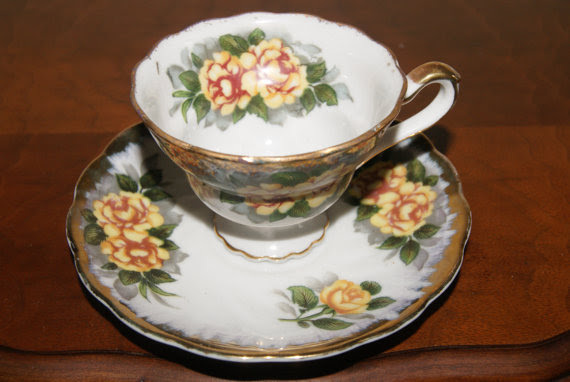 It was made from 1918 to 1930’s, and it has a cream background and a red trim, and it also has an embossed flower motif with pastel colors. The marks that are on it are the DPM mark with an acorn at the center (this stands for DUXER PORZELLAN-MANUFAKTUR), and it also has an embossed mark that reads 11259 II (these marks help date the hat pin holder from 1918 to the 1930’s). The hatpin holder is also the perfect size to be used as a small vase (or even a bud vase). It would also look terrific on any table or even a desk. It would definitely be the center of attention in any room that it’s in! The vase can be seen in my Etsy shop here. Head on over and check it out!